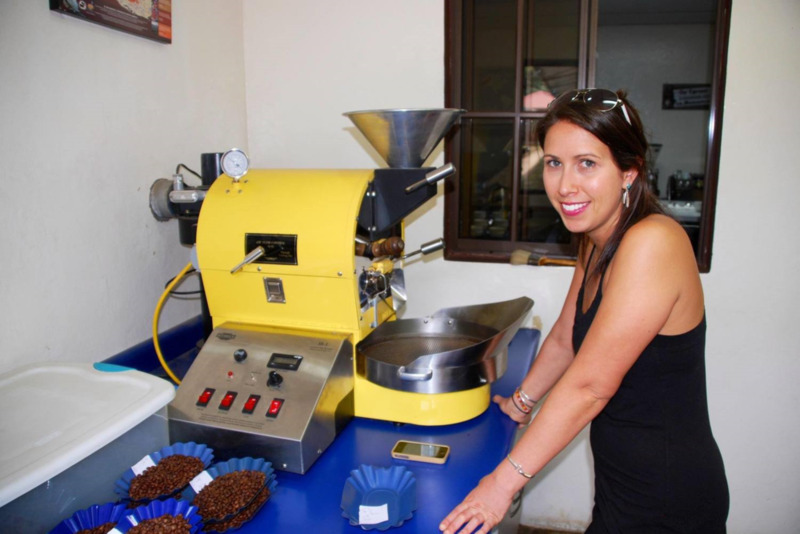 This process method also includes the removal of the mucilage from the coffee parchment, prior to being dried. Within the experiment, this coffee was washed around 6:00 PM on Monday, and spread onto the drying beds immediately following. Of the four methods, this drying time was the second fastest, reaching 12.5% moisture content also at 4:00 PM, the following Monday, exactly 7 days after arriving at the mill. Despite finishing at the same time as the Full Washed Processing method, this sample required a total of 166 total hours to reach the desired moisture content. In analyzing the characteristics of drying for this process method, it is important to state that throughout the wet milling, like two of the other processing methods, (pulp & full natural), and unlike the full washed, (assuming internal changes do take place), the internal characteristics of the this sample are largely unchanged, since the wet milling deals only with external characteristics; that are easily monitored and controlled. As mentioned in the post about the full washed process, our hypothesis is that drying time, largely depends on the external conditions of the parchment. The machine washed process, typically removes most, but not all of the mucilage from the coffee parchment. This effects the parchment visually. Samples appear as a darker shade of white/cream than the full washed sample. As the sample is closer and closer to the 12% moisture mark, one will see it gradually become lighter in color. Tiny spots of darker orange will also appear on the parchment, indicating the specific spots where mucilage remained on the parchment prior to washing. Physically, the small amount of mucilage that remains on the parchment, according to our hypothesis, provides a slight buffer, or insulation from the heat and airflow, that effect and determine the rate of drying of the sample. So while finishing at the same time as the full washed sample, it did require 20 more hours of total drying time, before reaching 12.5%, and being taken into lab, where it awaits roasting, analysis, and cupping.